The scriptures are full of seeming conflicting metaphors, or metaphors in tension. When it comes to the Ephesians 4 ministries and an alleged need to “honor them” as an element of a so-called culture of honor, it is important to apply the right metaphors in the right way. Paul is the most detailed ministry case study we have in the epistles. His primary calling was apostle, though he functioned diversely, just like the rest of us can and should. 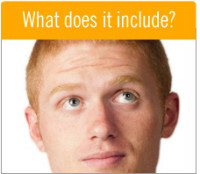 We can see conflicting metaphors at work in his life and how they relate to the topic of honor. Paul’s status as a believer unto the Lord, and as a member of the Body of Christ is: beloved, dear, favored, seated with Christ, a chosen vessel, a member of the royal priesthood, and so forth. These describe Paul as a believer in relationship to the Lord and the Lord’s body, the church. These deal with Paul’s place in the heart of God and the community, and they are accurate: he is a precious son unto Father, a gifted fellow member, fellow-servant, and fellow heir with Christ and the saints. The old line is true: “God don’t make no junk!” Paul was valuable, as we are the same way. Paul’s self-descriptive terms are far different from the above and uncomfortable for a self-esteem driven culture like ours to accept. He describes himself as chief of sinners, the off-scouring of the earth (literally, the dust that is left over after a house has been cleaned, the bottom of the barrel, the worst of the garbage), a spiritual miscarriage (KJV: born out of due time), the least of all the saints, and the most common term for himself, a slave. These metaphors relate to Paul’s ego—his estimation of himself in service and ministry expression. There is not a whiff in any of Paul’s language, anywhere, at any time, of a claim, demand, or right to any special, privilege, status, or honor (Even when defending his calling against the Corinthians and Galatians: his boast is in what Christ has done in him, they can receive him, or not.). In this he is like our Lord who took on the form of a slave. (KJV “servant” is much too weak). In their world being a slave was an act of dishonor, not honor. Slavery was a form of social death. The enslaved person lost all the social status they previously held or could aspire to. They were deprived of the freedom of decision, and forced to have solidarity of view with, and social utility unto the slave owner. THIS, my friends, is Paul’s description of himself and his “apostolic ministry.” There is nothing “honorable” about it. Truly, Paul was not his own. God owns him. He is God’s property. He exists for God’s purposes as a slave. So do you and I. We dare not conflate or misapply these two distinctly different metaphors when discussing the topic of honor. Because the ministry of apostle is the most evident in the New Testament, let’s look at their time period regarding what an apostle was and how these metaphorical tensions apply to any of the Ephesian 4 ministries both then and now. An apostle in the ancient world was simply someone sent to conduct business on someone else’s behalf, the sender usually being someone within the upper class elite, the military, or the government. The word originally had no association whatsoever with anything religious or spiritual. It also had no association whatsoever with any aspect of authority, governing or a position in a hierarchy, and by reason of so-being an “apostle” entitled to privileges. That idea would have been incomprehensible to Paul or anyone who heard him. Apostle simply meant someone selected to “go” in submission to another, to fulfill an assigned task. Period. That’s it. That’s all. No other baggage should be attached to the term. It is in this sense that Paul appropriately transfers the term into a kingdom application that is as good today as it ever was. What we have done to the term, the inferences and assumptions we have loaded it up with based on our world view and ecclesiology, is another story! Travel in the ancient world was dangerous and something that individuals did not choose lightly, especially if carrying valuables or something important. The risk of attack, murder, theft, etc., at the hands of brigands was very real. The person sent—the apostle—usually did not have a choice in the matter of his job assignment. The apostle was selected and commissioned for what could likely be a distasteful and perhaps harmful assignment. (This matches perfectly with the Apostle of our profession as well as Paul’s description of his own calling and ministry.). The one selected to go would often be the most expendable, the least valuable slave–the one a master could most afford to lose. The point is, you did not put your premium asset at undue risk if you could avoid it. This also fits Paul’s self-description perfectly. From our Father’s perspective, in Paul, He sent a precious, highly valued, treasured, finest of the fine, “kingdom asset.” From Paul’s self-estimation, and the world’s perspective, it is the other metaphor. Apostle was not a title for a high status leadership position. In their day, when you said “apostle” no one would think of a manager, owner, chief executive, or someone sitting at the top of a religious pyramid hierarchy. They would think of dishwashers and busboys, or worse. In their world, the feet were considered the most defiled, unclean member of the body. In our world, we would normally associate the most uncleanness with bathroom functions and the associated organs! Not so in theirs. To wash feet was not just a “nice humble thing” to do. It was to abase one’s self to the lowest of the low, the basest of the base, the most demeaning expression of service available in their world. In the upper room we see Jesus’s apostleship (ministry) being modeled. How that gets turned into rank and privilege by creative religious minds, is quite a maneuver. Apostle was not a claim to high status or authority, but a claim to low status and expendability. When you attached the words “of Christ” [to the term apostle] this communicated whose business and authority the apostle was operating under, and doubles down on the slave metaphor. A slave doesn’t do the choice assignments, the easy ones of privilege. A slave does the hard assignments, the nasty ones that no one else wants to do. For it seems to me that God has put us apostles on display at the end of the procession, like men condemned to die in the arena. We have been made a spectacle to the whole universe, to angels as well as to men. We are fools for Christ . . . (1 Corinthians 4:9,10). Many who proclaim themselves as apostles and prophets (as well as the other Eph. 4 gifts) demand they be treated with honor, as an alleged way of teaching people to learn respect in a culture of honor. This self-acclaimed honor usually accrues in perks, favors, privileges, mandatory use of honorific titles and such to the one demanding the honor. In extreme cases it crosses the line into cultic veneration from unquestioning subordinates. This is contrary to both the spirit and letter of the New Testament, as well as the Spirit of Christ. There is no place for it in the church. If you are relating to someone who is demanding honor from you, you immediately need to have a frank conversation or make a change in your associations. If you want to freely give honor to someone due to the individual’s Christ-likeness and slave-like service to yourself, the Body, and the world, it is yours to give and theirs to receive! Honor your parents, honor one another, give double honor to the least honorable, “receive” person X because he/she is . . . etc. Honor in the family of God should never be one-way, up the hierarchy, toward those claiming or demanding privilege for themselves. Those so demanding, are disqualified from the very honor they claim. Proverbs says let another praise you, not your own mouth (Prov. 27:2), and that “praise” or “added weight” (honor/glory) must be offered freely from others, not demanded. One of the indictments against the religious establishment of Jesus’s day was their demand for honor and the privileges associated with it. Not much has changed. Adapted from Brian Dodd. 1/14/2007. brianjosephdodd@yahoo.com. Permission granted to use and forward. Brian Dodd (Doctor of New Testament Studies, Sheffield University) is the author of “Empowered Church Leadership: Ministry in the Spirit According to Paul [Downers Grove: Intervarsity Press, 1991]. It amazes me that so many take the simple and clear teachings of the Bible, and the example of Christ, and make them complicated. I see all of this as having begun in Spirit, but trying to finish in the flesh (developing more rules, religion, and legalism). This reminds me of the higher education world where I work, which is full of “classism” where the tenured and the enlightened not only demand honor, respect, and the use of titles, they also can see themselves as better than the normal folks. You can see the same with Drs in the medical profession, and other areas of society where a caste system exists (and at times is rigorously enforced). Where there is love, where there are servants hearts, where there is an abundance of the fruit of the Spirit, etc.. this is an entirely different “culture” than what you wrote about. A culture where people love the Lord and love others as they love themselves. When I get in discussions like this, I will challenge people to get their lives together – to deal with the log in their own eye and not the speck in the eyes of others. I urge them to do first things first and lead with love, not with rules and self. If they really are apostles focus on serving others and doing the works of an apostle. Lets’s follow the teaching of the Apostle John, which was not about honor, it was to love one another. SPOT on, my brother! Wish we could just stop the insanity and get on with it! Stephen, another excellent article. Coming out of a “culture of honor” network I can so relate to all that you are saying. It was your book on Authority, Accountability and the Apostolic Movement that saved my life from continuing down the path I was on when I was in the midst of a particular network. You’ve got a lot more stories about the “honor” movement than I do but I have seen my fair share of this “culture of honor” taken to extremes. I was caught up in the wanting honor myself but I realize now that it came from an absence of the validation of my earthly father and a whole lot of insecurities. Your teachings have helped me immensely and I really appreciate you for what you are doing and the stand you are taking. Stephen Crosby, you’ve nailed this one. Recently, I heard someone that I truly believe hears clearly from the Lord share the same. Jesus told him that one who is called to be an apostle could put ‘scumbag ministry’ on their “so-called business card” 🙂 .. since it is most expendable. What we see today is so far away from the Lord’s purpose. How will we ever recover what has been lost when those that need to repent and course correct the most …. most likely would be offended by this truth? Susan, he that ears to hear, will hear, those that don’t won’t and they will not have to answer to me, but a higher authority :-). My attitude of late is: Forget Saul, go find David. Honor in the family of God should never be one-way, up the hierarchy, toward those claiming or demanding privilege for themselves. Where does it say we only honor the worthy parent? Bill, God as a third party requires it. Parents don’t demand it. that is the difference. 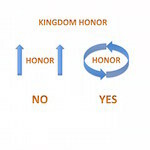 The requirement to give honor comes from a third party (in this case, God), not demanded from the object of the honor. 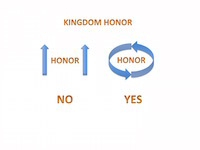 In the kingdom, demanded honor from the object of the honor, cannot be justified from any scripture. There is not a command, not a single first person imperative in the scripture that says: You must honor me because . . . .
Bill, I also included parents in the comment “we are to honor everyone” because we all bear the image of God. Parents are included. Has nothing to do with merit. Has to do with bearing god’s image. As we have talked before, how honor is defined, and how it is expressed, makes all the difference. Pingback: When Is It OK To Oppose Church Leadership?